This may be one of the easiest ways you’ll ever bake pizza at home, and you don’t even need to preheat your oven! 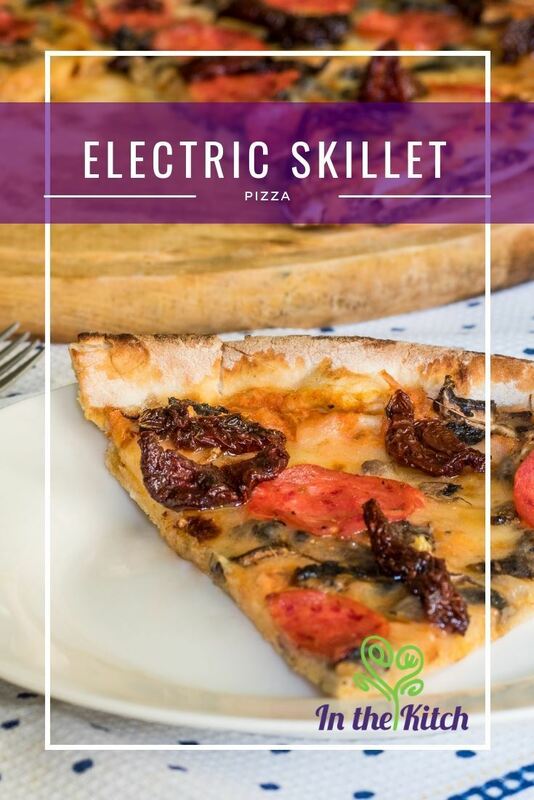 Have you heard of electric skillet pizza? Perhaps you are merely cooking for yourself and it seems like a waste to heat the entire oven, or perhaps you’re trying to cut down on energy costs. Perhaps you just want to see what your electric skillet can handle. 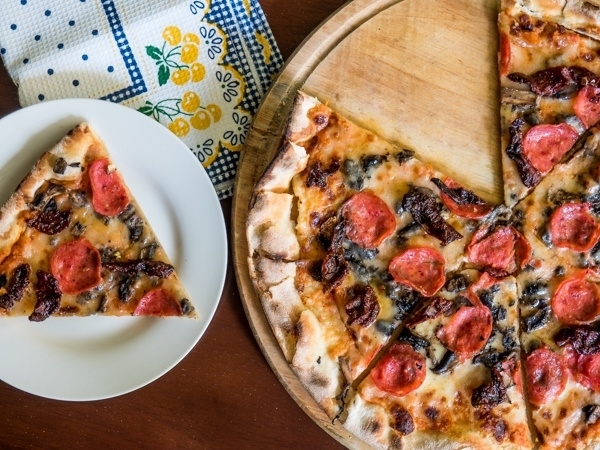 For all of these reasons and more, an electric skillet is a great option for an alternative way to bake pizza. You could probably make this with homemade dough if you’re up for that, or make it easier and grab a pre-made dough from the store. This could especially be a perfect meal solution for busy weeknights! 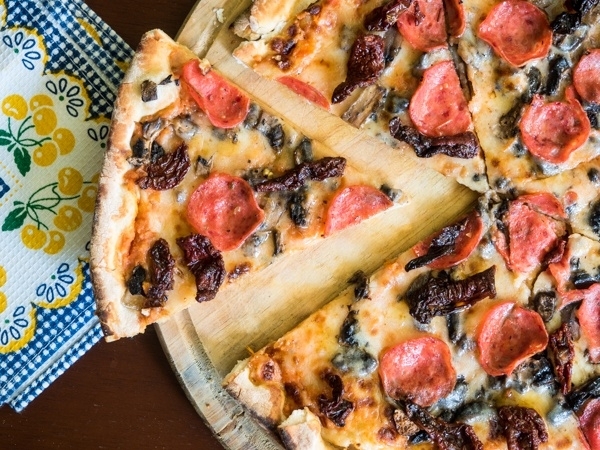 This may be one of the easiest ways you’ll ever bake pizza at home, and you don’t even need to preheat your oven! Prepare and measure out all of the toppings ahead of time. Preheat a lightly greased electric skillet to 375°F. Roll out the pizza dough ball on a lightly floured surface, into a size that will fit into the skillet. Carefully place the rolled out pizza round into the skillet. Cook for 1 minute or until the bottom is golden. Flip the pizza crust with a spatula to begin cooking the other side. Immediately add the sauce, italian seasoning, cheese and other toppings. Cover and cook for 10-15 minutes or until the cheese is melted and the bottom of the pizza is golden brown. Transfer pizza carefully onto a cutting board. Slice into wedges and serve. With as few as three steps, this pizza will be baking into a delicious symphony of hearty tomato and cheesy goodness. One of our favorite aspects of this recipe is that it avoids the possibility of under-cooked pizza dough. It calls for cooking one side of the dough until golden brown and then flipping it to cook the other side. 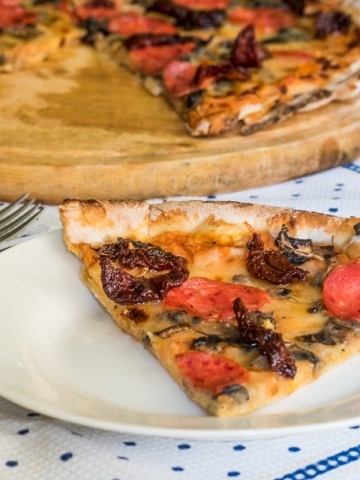 Only at that point will you begin adding the toppings, which ensures the crust is equally cooked when the cheese is melted and lightly browned. As you try out this recipe, you may even find that you now prefer skillet pizza over oven-baked pizza! We hoped you liked this recipe! What do you think of baking your pizza in the electric skillet? Have you tried a recipe like this? Please let us know what you think in the comments, and if you liked this recipe, we’d love it if you shared it with your friends and family!